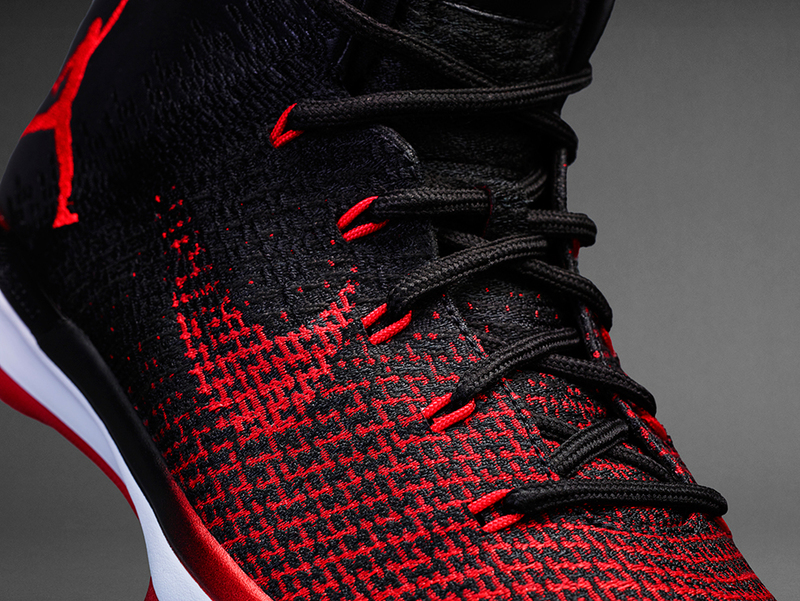 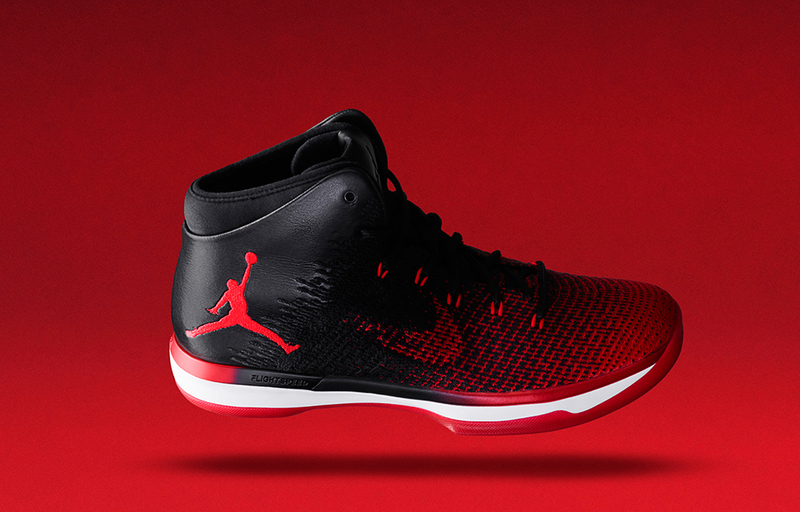 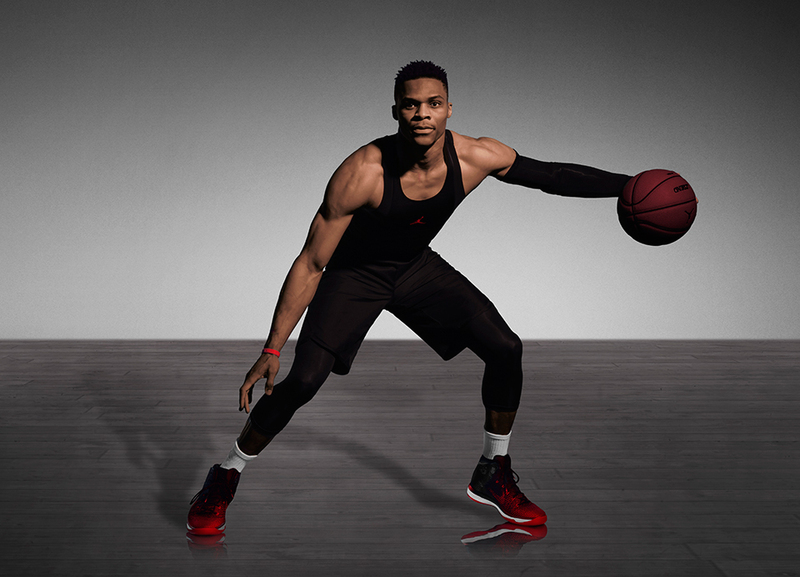 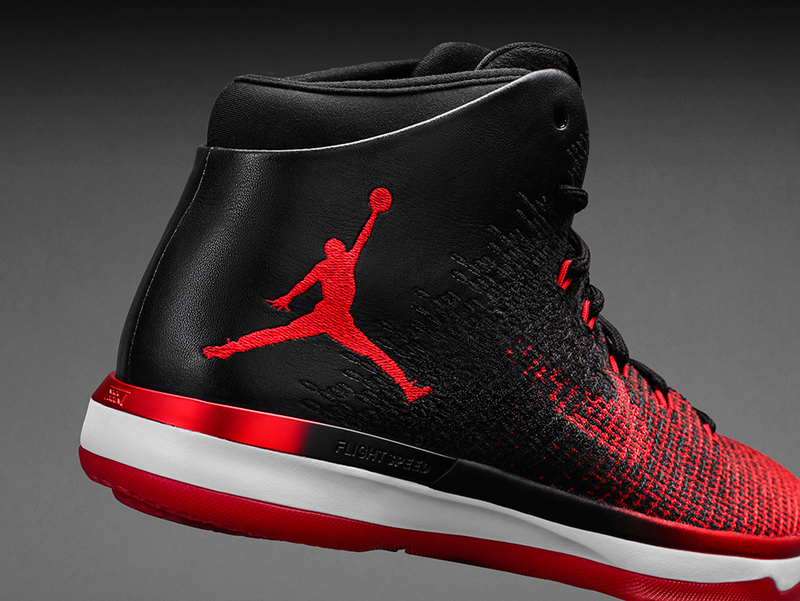 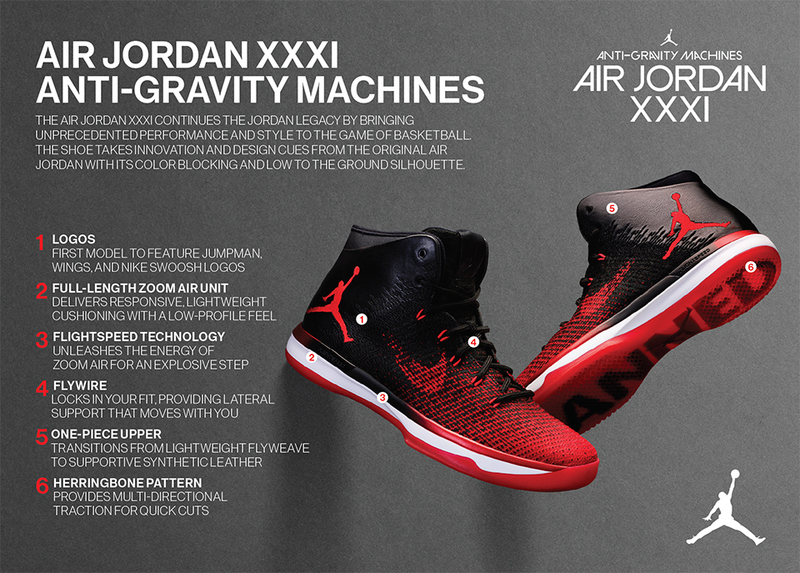 The XXXI was inspired by the Jordan 1 and its infamous black-and-red variant. 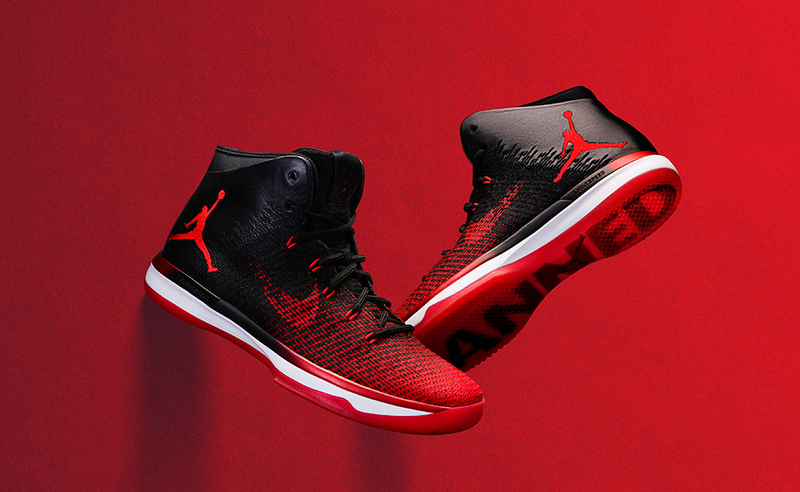 It has a synthetic leather and woven upper with the classic Swoosh and Air Jordan wings logos, neoprene ankle support, a phylon midsole and Zoom Air cushioning. 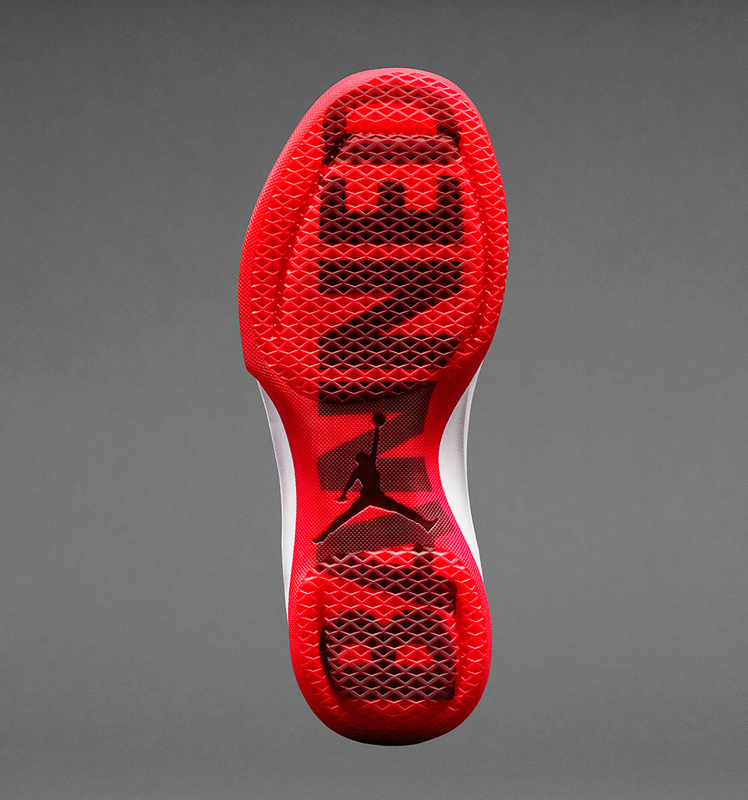 Drops 9/3/16 for $185.